Essence Absolue is rated 4.5 out of 5 by 4. 1. Spray 10-12 inches from the head, applying onto damp mid-lengths and ends of damp hair. 2. Comb through to spread evenly. 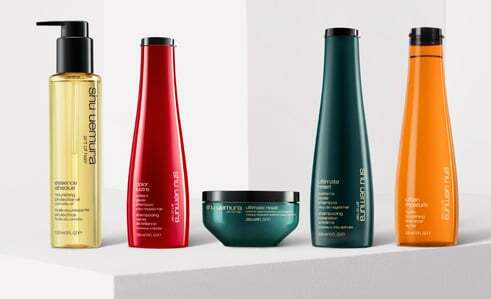 *Or apply to dry hair throughout the day to refresh and add shine. Rated 5 out of 5 by Vy01 from Wonderfull.. Beautiful scent, I'm glad I finally found this. It will defiantly remain a constant for me. It is a bit expensive, but worth it. I need it to come in a travel size! Rated 5 out of 5 by kimYea from Amazing aroma!! I love this product. Expensive, but you use a tiny bit, lasts a long time. The scent is even better than the Absolue oil. Adds a nice sheen and softness to you hair. I have thin, straight, shoulder length hair. Rated 3 out of 5 by Anonymous from Nice hair perfume This product smells really good. I consider the smell the best part of it. The product itself is light, non drying, doesn't make hair feel greasy and doesn't weigh my hair down. As far as nourishment and shine go, I see very little impact on the condition of my hair when using this spray. As far as a good hair perfume that won't dry out my hair this is a winner as a hair perfume. The bottom line for me is that since my particular focus is on hair nourishment when I buy luxury hair products I prefer the essence absolue protective oil or one of the treatment masks to this spray when looking for an item within this price range to nourish my hair and make it smell nice at the same time. Rated 5 out of 5 by Anonymous from The Best! I have long thick hair, and I use essence absolue on regular basis. This product is just perfect to give hair lustre, healthy, and finished overall look. It also doesn’t weigh hair down, and I find it easy to have the shine, and healthy look combined with the bounce, and ability to mold and shape hair. It smells amazing, and you don’t need a lot. Fantastic!! !